We might be trying to do a lot to combat climate change but 2016 proved it’s not enough by setting the record for the hottest year – for the third year running. The National Oceanic and Atmospheric Administration (NOAA) and NASA held a press conference on Wednesday to announce the results highlighting that 16 out of the 17 hottest years have occurred after the year 2000 since records began back in the 1880s. In 2016, surface temperatures were around 0.07 degrees Fahrenheit warmer than 2015 according to the NOAA. Not only that, but eight consecutive months in 2016 saw individual heat records which hasn’t ever been recorded before. “2015 has been the warmest year on record up until now, so 2016 has just beaten that and and it’s beaten that by about 0.1- 0.12 of a degree Celsius, which doesn’t seem like a lot, but in terms of the year to year variations it’s actually huge,” explained NASA’s Gavin Schmidt to the BBC. 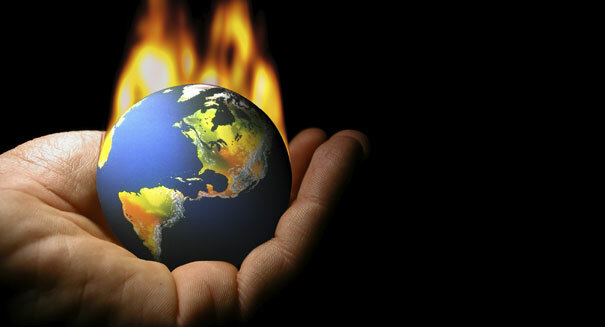 Climate specialists believe continuing contribution to greenhouse gases has caused the increase in temperatures. El Niño, a band of warm ocean water found in the Pacific also has an affect on global temperatures and this is thought to have contributed along with increased greenhouse gases. Details of the observations can be found here.